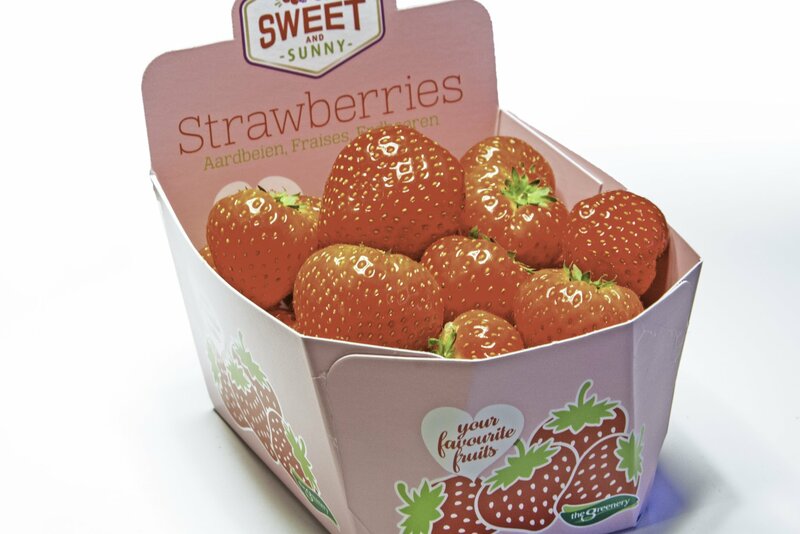 The Greenery will be introducing its new soft fruit brand Sweet and Sunny during the Fruit Logistica trade fair. Only the best varieties of strawberries, blueberries, red currants, raspberries and blackberries are selected to bear the Sweet and Sunny label, so the consumer is always guaranteed a deliciously sweet and juicy soft fruit. Consumers are increasingly seeking healthy enjoyment, and soft fruit in particular is the ideal choice for healthy snacking. This delicious fruit can be enjoyed by the handful, in combination with yoghurt or in a smoothie, but also as an ever more popular flavour booster in savoury dishes – all without having to think about whether the fruit tastes good. All of the Sweet and Sunny soft fruits are sun-ripened, making the strawberries, raspberries, blueberries, red currants and blackberries deliciously sweet and extra juicy. These fruits have been specially selected from the best growers in the Netherlands, Spain and South America, among others, so that consumers are guaranteed to enjoy the tastiest soft fruit all year round. Together with growers, agronomists and international seed companies, The Greenery is always searching for the best soft fruit varieties. We have two locations of our own where we test new varieties. Here, in close consultation with our own agronomist and growers, select varieties are divided into growth concepts and marketed. Only the best soft fruit varieties are considered for the Sweet and Sunny label. These varieties boast an exceptional taste and appearance, while also fulfilling the criteria for quality and shelf life. 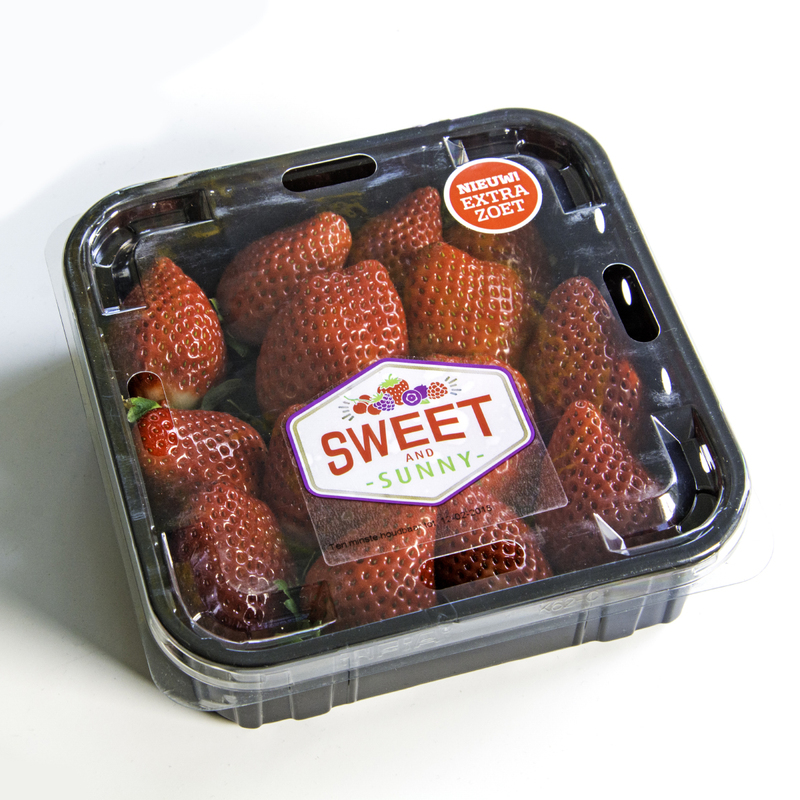 Sweet and Sunny’s soft fruit is available in various packaging formats. With its striking pink colour, the concept is sure to stand out on the shelf. Strawberries are supplied in a range of tray sizes (with a lid or resealable topseal). Raspberries, blueberries, red currants and blackberries are supplied in packaging with a resealable topseal. Customised packaging can be arranged upon request. We will be happy to welcome you and provide more information at our stand at Fruit Logistica in Berlin. You can find us in Hall 1.2 at stand B-19.